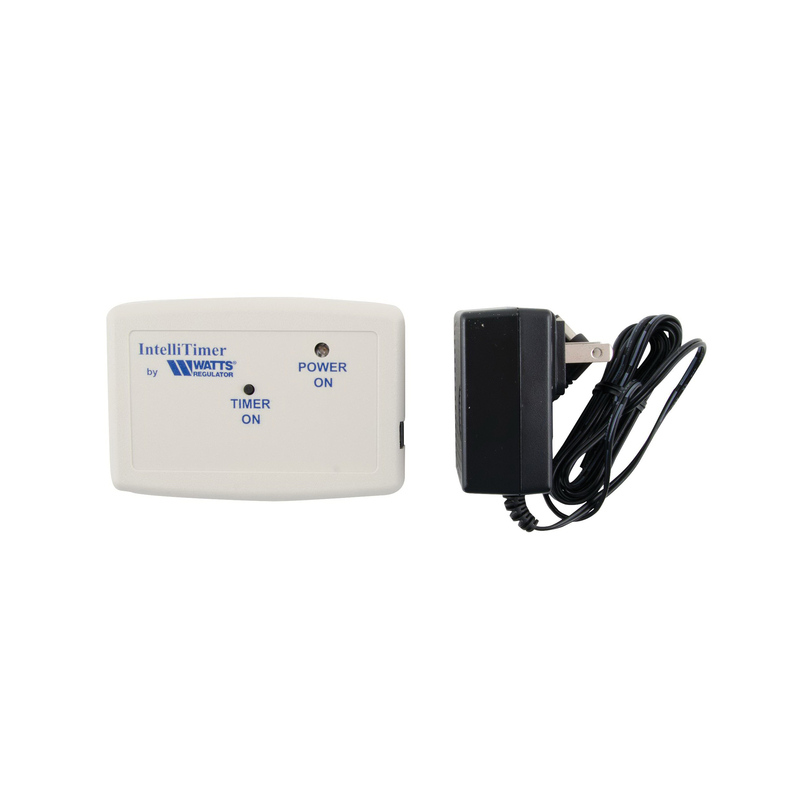 This intelliTimer is a remote timer designed for use with the intelliFlow® automatic washing machine shutoff valve. It is used in applications where the washing machine or stacked washer/dryer combination is 240 VAC powered. This timer initiates a two hour cycle when the button is depressed, which causes current flow to the intelliFlow® allowing water to flow to the washing machine. Upon completion of the two hour timing sequence, the timer deenergizes the intelliFlow®, shutting off the flow of water to the washing machine.